Five members of a family were injured in a gas cylinder blast in Anchar area of Soura in Srinagar on Monday. 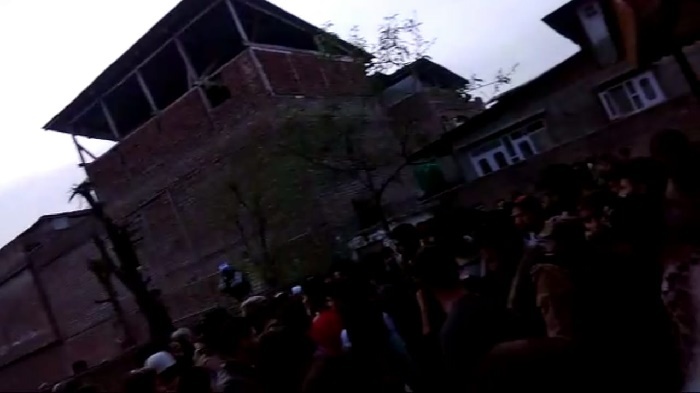 Quoting official sources, news agency GNS reported that the blast took place inside the house of Farooq Ahmad Mir at Anchar Soura.In the blast, five members of a family including Mir, his wife Saleema and their three children suffered injuries and were immediately taken to SKIMS Soura for treatment. "A police party has been rushed to the spot and the nature of the blast is being ascertained," a police officer said. The officer, however, confirmed the injuries in the incident.